One Piece Only. No Screw Included. 20 inch Dcenti DW29 Replacement Inserts. These inserts are sold in sets of (9) so that they will replace all inserts on one wheel. 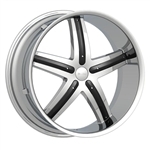 If you need inserts for all four wheels then please put quantity (4) in your cart. 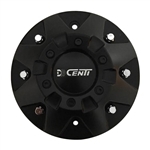 22 inch Dcenti DW29 Replacement Inserts. Please also make sure that the part number on the back of your existing inserts is DDW29P2295 or DW29P22 24 inch Dcenti DW29 Replacement Inserts. Please also make sure that the part number on the back of your existing inserts is DDW29P2495 26 inch Dcenti DW29 Replacement Inserts. 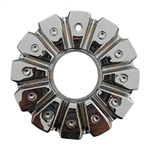 Set of 9 Inserts for One Wheel! WHEEL OR CENTER CAP IS NOT INCLUDED! Black Finish. FITS 30 INCH DW29 WHEELS ONLY! Brand New. SCREWS ARE NOT INCLUDED!